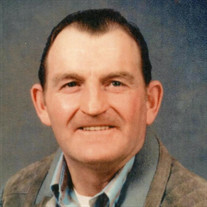 Warren William Schell, age 77, of Petersburg, WV died on Friday, March 23, 2018 at Winchester Medical Center, Winchester, VA.
Born August 9, 1940 in Keyser, WV and was a son of the late Ernest Ellis Schell and Audrey Virginia (Reel) Schell. In addition to his parents, he was preceded in death by an infant sister, Barbara Ellen Schell and four brothers, Ernest E. Schell, Jr., Kenneth Lee Schell, Richard Allen Schell and Ira Wendell Schell. Warren worked for the Maysville Charcoal Plant and the late Hester Rohrbaugh cutting pulpwood for several years. Later he was employed by Regester Rail Mill in Moorefield, WV. Warren is survived by four sisters, Margaret Carr of Winchester, VA., Eleanor Feaster of Petersburg, WV, Alma Schell of Jefferson, Georgia and Bonnie Lou Grimes of Spotsylvania, VA; two brothers, Daniel Leon Schell of Petersburg, WV and Robert T. Schell of Bunker Hill, WV; and several nieces and nephews survive. Family will receive friends on Monday, March 26, 2018 from 2-4 and 6-8 p.m. at the Schaeffer Funeral Home in Petersburg. Funeral services will be held on Tuesday, March 27, 2018 at 1:00 p.m. at the Schaeffer Funeral Home with Rev. Joseph Gerstell officiating. Burial will be in the Maysville Cemetery, Maysville, WV.